This is the recipe developed and promoted in the book “Bread in 5 min a Day” by Jeff Hertzberg MD and Zoe Francois. 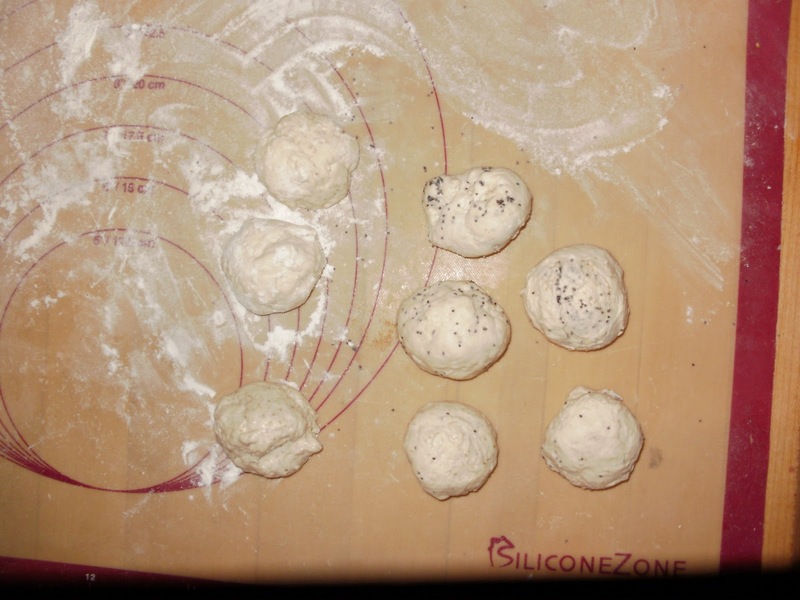 It is a basic yeast dough recipe that has the distinction of not needing to be kneaded. No fuss, no muss. 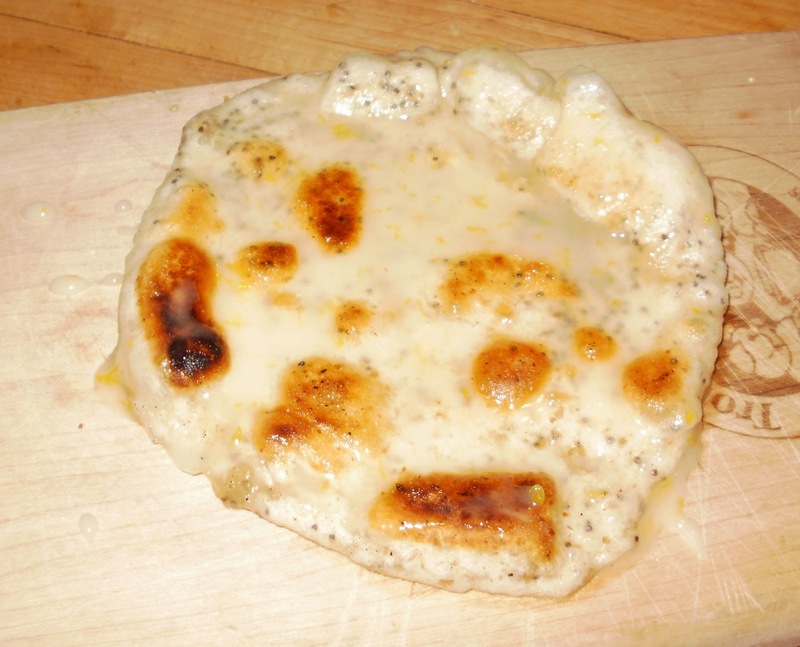 Here I have taken it a step further and turned it into a truly delicious breakfast naan that is very easy for an innkeeper to do in the morning and has a knock em over amazing flavor. 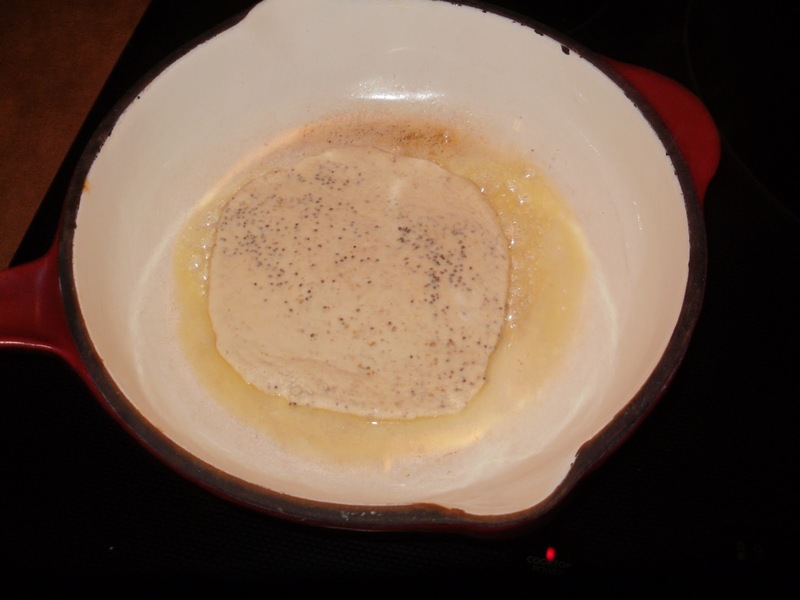 Poppy seed naan with a Meyer Lemon Glaze.. who would have thought! Something new for breakfast! and man is it good. 6. Cover the container and refrigerate. 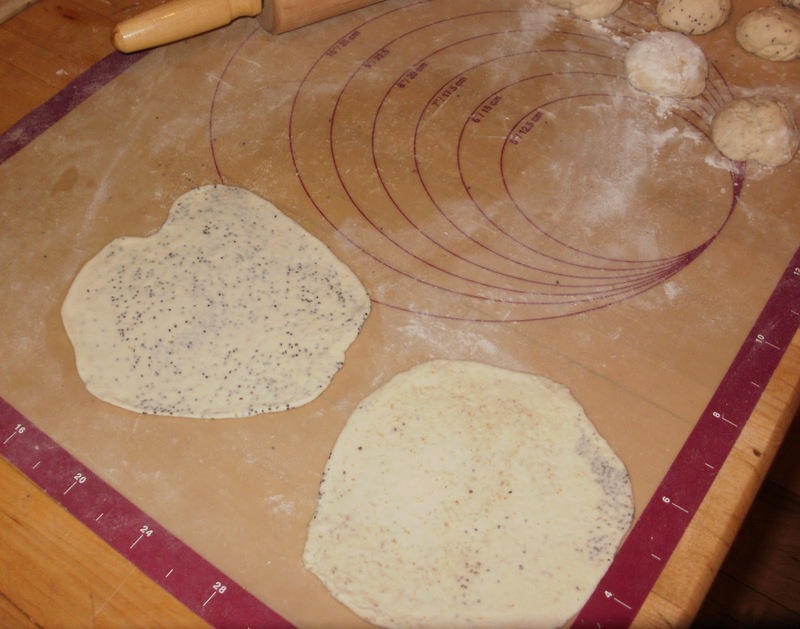 I have covered a bowl with saran but if you do that make sure it is on well or the top of the dough will dry out. 12. Gently put the rounds into the pan. They will puff and bubble. After 1 min turn with tongs and fry on the other side 1 min. You want to watch them carefully as not to burn them. This entry was posted in Muffins Scones and Breads, Sweet Breads, Swiss Woods Bed and Breakfast by admin. Bookmark the permalink.